I remember getting into an argument with my best friend when I was like 9 years old that there was a gun manufacturer named "Ruger". He probably thought that I was mispronouncing "Luger". Anyway, I was right and he was wrong. 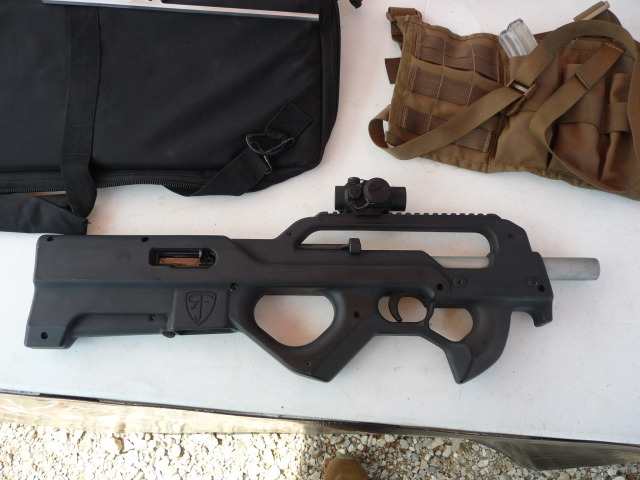 Furthermore, Red Jacket Firearms makes a sort of bullpup P90-ish conversion kit for Ruger 10/20 .22 rifles called the ZK 20 stock. This picture doesn't really show what the gun looks like as it has a dummy barrel. More on the Luger front is their AR15 take on things. I can't find any Airsoft Rugers. That doesn't mean there aren't any. The gun you have in the picture (as their "AR-15") is actually their "Tactical Mini-14" which is still very cool. But they also make their SR-556 which is an actual piston-operated AR-15. I probably won't be able to get one before they're all confiscated and we're sent to the reeducation camps, but oh well. Yes, I should have been clearer that their "take" on the AR15 is their "Tactical Mini 14". Meh, nobody's going to reeducation camps. They may end up banning 30-round magazines though. Still, those Rugers are a thousand dollars which is too much for my pocketbook.